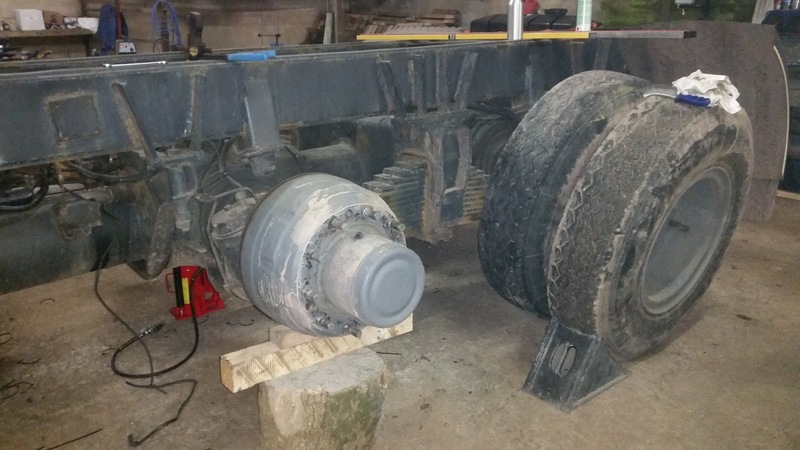 Started to remove the old wheels and tyres, to make way for the new 14 x 22.5 wheels. The 3/4" drive air gun and the air Jack made life a lot easier. I just removed the wheels from the front and the first rear axle, i wanted to leave some rubber on the ground. 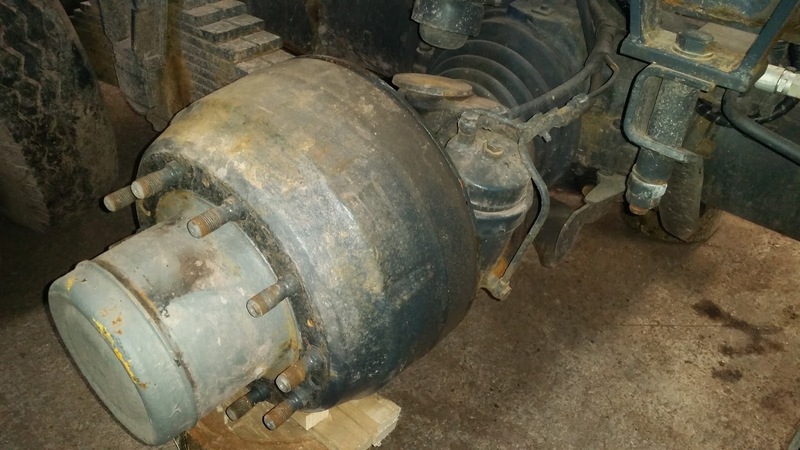 Note the 10 ton tree stump axle stands ! !